he soft, subtle presence of purple asters makes for touchability as the bold white of the lily lends brilliant color! 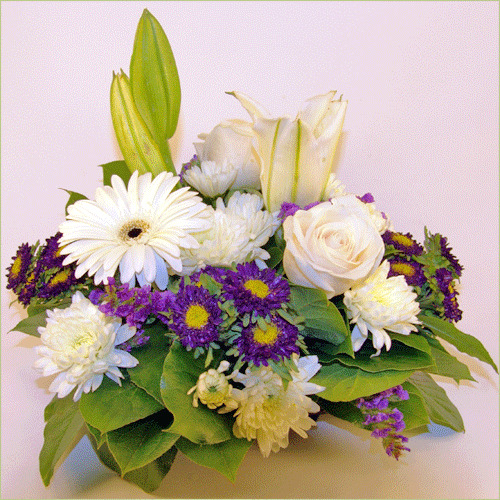 The white gerberas and roses add intensity. Deluxe Bouquet includes 11 stems. Premium Bouquet includes 13 stems.